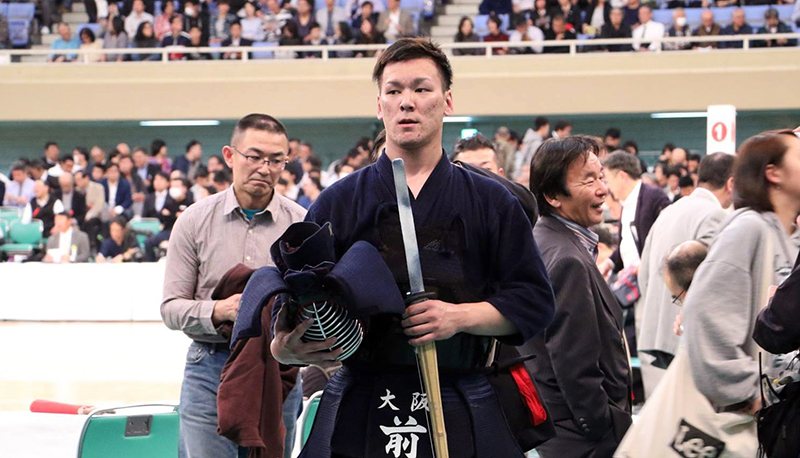 Last year he advanced to the quarter finals in his first appearance at the tournament, and he played in all the games for Japan in the group tournament at the World Championship. From being a prominent youngster, he has risen up to being one of the powerhouses. 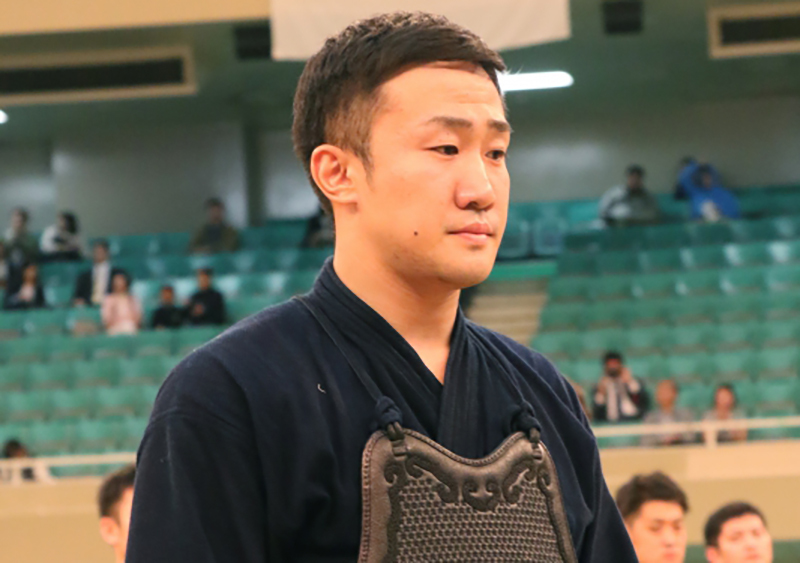 He reached the last 8 for the second year in a role, but conceded a comeback defeat to Yohei Takeshita (Oita) and missed out on his first podium appearance. -Can you reflect on your quarter final match with Takeshita? Last year at the quarter finals I won an ippon first but allowed him to come back and lost, and this year it happened in exactly the same way. Because of last year’s experience, I thought even after winning an ippon I needed keep attacking. But as I tried to strike him when he started up his move, that backfired and he struck me. For the second one, it was 1-1 and game on, so I was aiming for the men. He got me as a started up my move to get the men, but I lost going for the strike so it can’t be helped. -Did you feel like you could win? My movements were good today, and after getting through the first round I was mindful that I could aim to go all the way. In the last match I was able to get the first ippon, so I think I could have won with a bit more study and a bit more creativity. -Do you think the mental game made a difference? Yes. I didn’t think of running away, but I tried to go back one step before striking, so I think that may be my weakness. 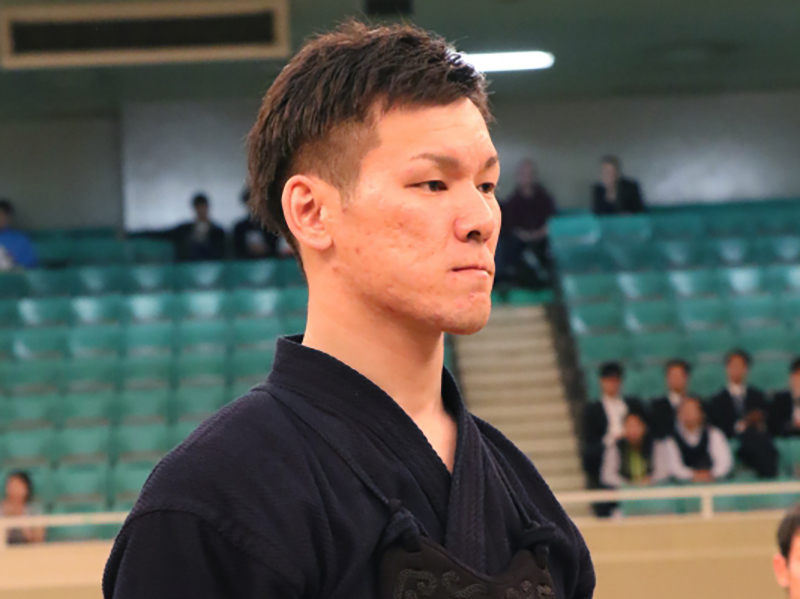 I want to work hard against for another year, and study how to play the game after winning the first ippon. -With Takeshita, you have trained a lot with him with the national team, but did any of those thoughts factor in? 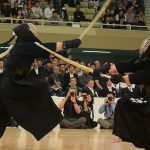 Yes, against Takeshita I was thinking of going for the kote for the second strike. Rather than thinking on the spot I thought it was better if I made up my mind beforehand. I know him well, and he knows me well, so I thought he would definitely be focused on guarding his men against me. I planned to get him at the kote when he tried defending his men, but this was the result. Maybe I aimed too much. -After he got you back for the first ippon, he pulled out some good moves. Did it shake you up that he got you back? For a moment, my loss last year came back in my mind. I encouraged myself, thinking “I cannot lose this” but I felt like I would lose if things went only like that, so I tried to pull out my own skills and change my mentality. -Having the World Championship and important tournaments continuously, was there tiredness too? No, because this is our main profession. Ando, Nishimura and Takeshita are all in the same boat. I can’t just be the one person saying I’m tired, so I was mindful of caring for my own body. 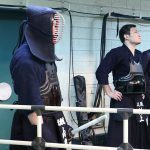 -This tournament saw a lot of the World Championship members play well. We were on fire. We encouraged each other, saying “let’s advance together”. We were really motivated. -In the end you walk away with the same last 8 result at least year. Do you have anything in your mind now of how to break past that? I felt like I was still not used to the matches becoming 10 minutes from the quarter finals. 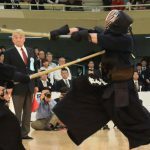 My styles of kendo is to keep attacking and attacking, rather than defense, but from now on I want to play thinking about the balance between attacking and defending. -With two last 8 results in a row, do you feel like you are growing? Last year despite the loss I felt “it still went well”, but this year it’s all disappointment because I feel I could have gone further. This was his 4th appearance at this tournament, and his 3rd in a row. In his past 3 appearances, he showed excellent form to reach 2nd place in his first and second appearance. Last year he bowed out at the 2nd round, but he showed his class this year to reach the last 8. 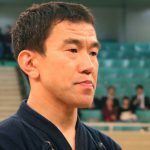 He, however, lost to Uchimura and was denied the coveted title. -Can you reflect on the tournament? I found it difficult to play at my own pace, and struggled throughout. I managed to advance, but in the end I was struck after being dragged out. -Did you feel like your opponents had studied you? If I was really a strong player I could seize any game at my own pace, so I think it was just that I was not good enough. -Your quarter final match was against Uchimura, but did you feel any pressure? There were a couple of dangerous kote, and I tried to match that with the men, and thought throughout the match of how to counter the kote strikes, but conversely I was dragged out and put off balance. So I think I just wasn’t strong enough. -Did you discover any things you would like to work on? 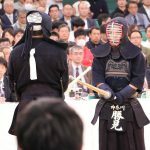 I want to become a player that can win ippons. 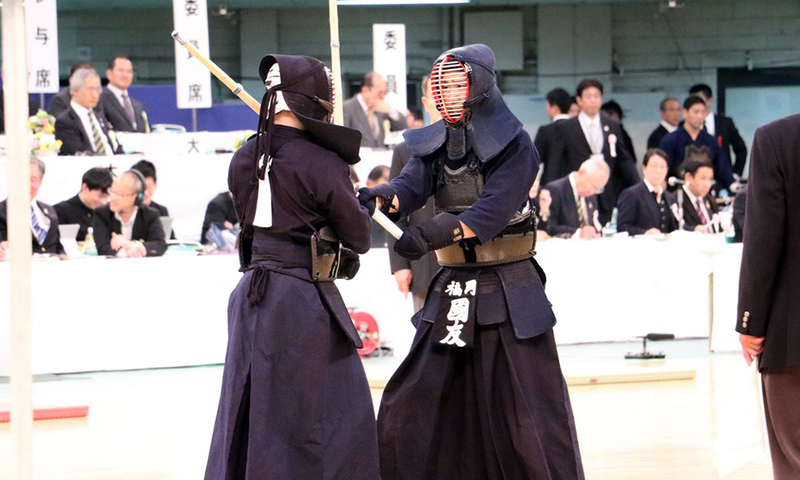 It’s difficult to break away from my current kendo, but I want to become a player that can get an ippon. Even after I concede an ippon, unless I can become a player that can go for it and get that ippon at the end, I will never win the Championship. I want to be able to attack more and get my opponents rattled. -Are you eyeing a return to the national team? Yes. I would like to participate in the World Championship 3 years from now.